Balls of Fury!. © Greg Letts, licensed to About.com, Inc.
As the stewards of our sport of table tennis, the ITTF have instituted a number of changes to the game of table tennis since its humble beginnings in parlor rooms back in the late 19th century. 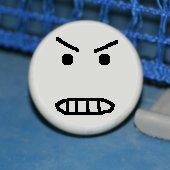 The introduction of the expedite system, the banning of finger spin services, regulating rubber thickness, removing speed glue and hidden serves, changing the scoring to 11 instead of 21, and introducing a bigger 40mm ball are just some of the many adjustments the ITTF have made in the hope of keeping the sport alive and well into the 21st century. Not all of these changes have been popular, and you could argue that some of the changes have been less successful than others, but at least it was possible to believe that the ITTF had the best interests of the sport at heart. This brings us to the latest change being imposed on table tennis players around the world by the ITTF - the introduction of a plastic ball to replace the much-loved traditional celluloid ball. The date of the change has been altered a few times since the ITTF first mentioned their intentions, but is currently set at 1 July 2014. In contrast to past changes, there does not appear to be an actual problem with the sport itself that the ITTF is trying to fix with this adjustment. Instead, ITTF President Adham Sharara originally supported the ITTF's decision by citing a upcoming worldwide ban on celluloid, and later added that it was also due to the hazards involved in producing the sheets of celluloid that the balls are made from. 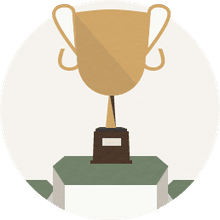 Diligent investigation by members of several internet forums (including the OOAK forum ) failed to find any real evidence confirming the ITTF's claims. Nonetheless, the introduction of the plastic ball is continuing full steam ahead. You have to wonder who really benefits from this proposed change - it certainly doesn't seem to be the players. As others have said, perhaps we need to "follow the money"? In the past, it has been difficult for rank and file table tennis players around the world to have their voices heard by the ITTF, since the invariable response from the ITTF on such matters is that players should take up the issue with their national associations, each of which can vote in the various ITTF meetings. But with the advent of the Internet into the mainstream of society, it is now possible for players around the world to band together and take a stand against changes like these that are imposed from above without adequate explanation and justification. One such player has decided to take the first step, and set up an online petition protesting against this ill-justified replacement of our beloved celluloid ball. You can find a link to sign the petition here. And if you feel strongly about this proposed change, take the next step and contact your national association to ask what they are planning to do about it. Otherwise, when 1 July 2014 rolls around and you are holding a plastic ball in your hands when you are about to serve, don't complain - you are two years too late!